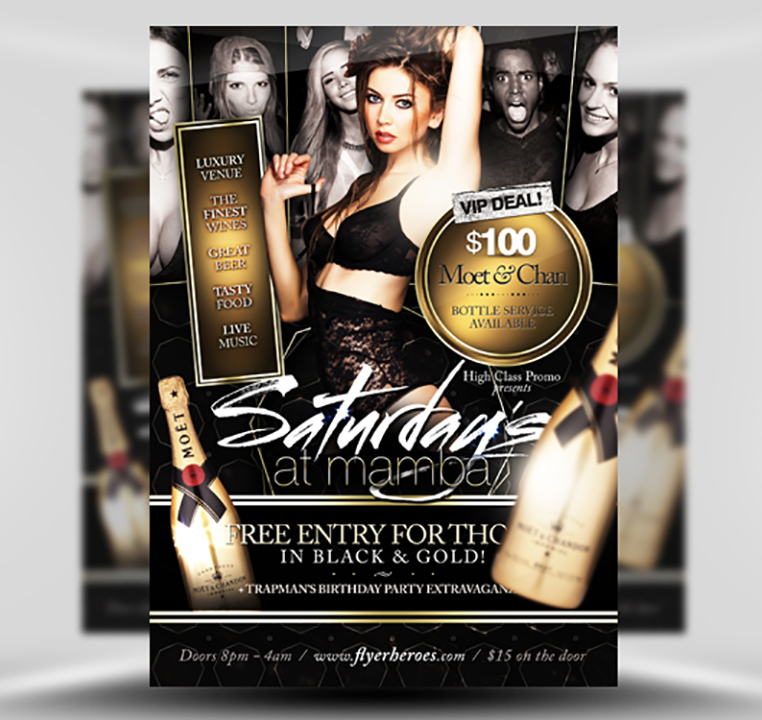 Saturdays at Mamba Flyer Template is part of the Black & Gold Bundle Series of flyer design templates designed by FlyerHeroes. 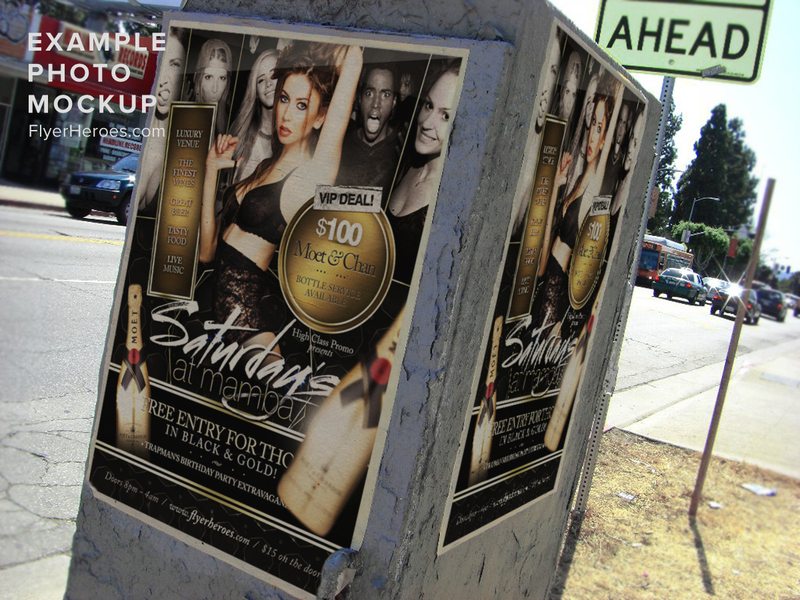 The Black & Gold Bundle Flyer Templates are designed specifically for high-end, classy hip hop / urban nightclubs, bars and music venue events. 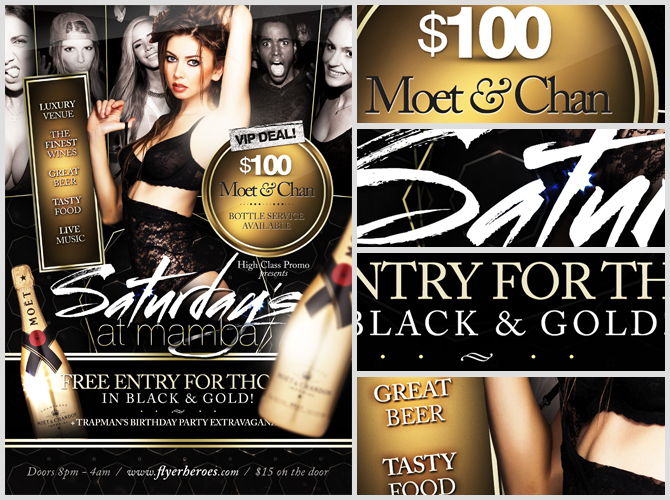 The Black & Gold Flyer Templates feature a design style that is exactly that – Black and gold. 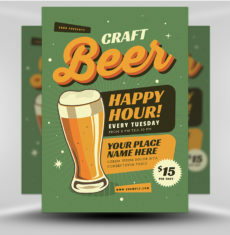 Throughout each design are shiny, bright and metallic gold elements alongside dark contrasting text elements and brackgrounds. 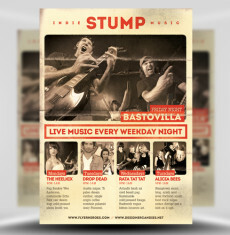 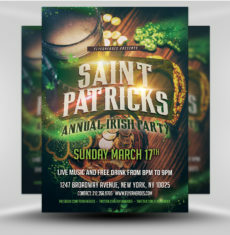 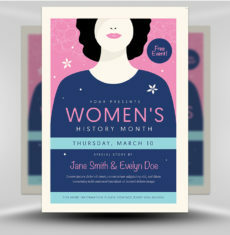 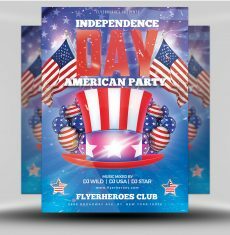 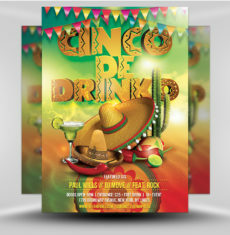 Each flyer features a multitude of editable elements such as editable stickers, image placeholders, polaroids, 3D title text and information text areas, feature image slots and more. 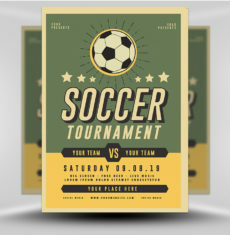 To really amplify the gold elements within these Black & Gold flyer templates we’ve gone (you could say) crazy with lens flares effects relfecting which adds an incredible sense of realism to the design. 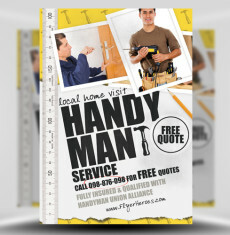 Replacing images and text areas is easy. 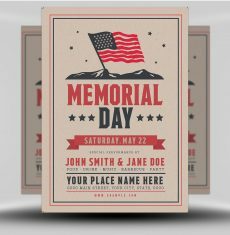 Simply paste in your photographs to the predefined image clipping mask areas and edit the text areas with the Photoshop Type tools. 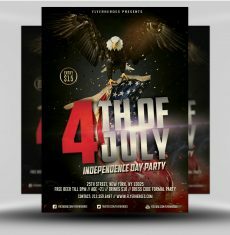 The Black & Gold Bundle series of nightclub flyer templates are perfect for clubs, bars and music venues as well as urban, chich and hip hop events. 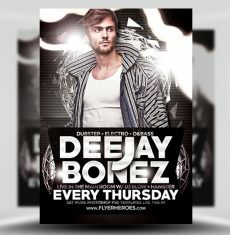 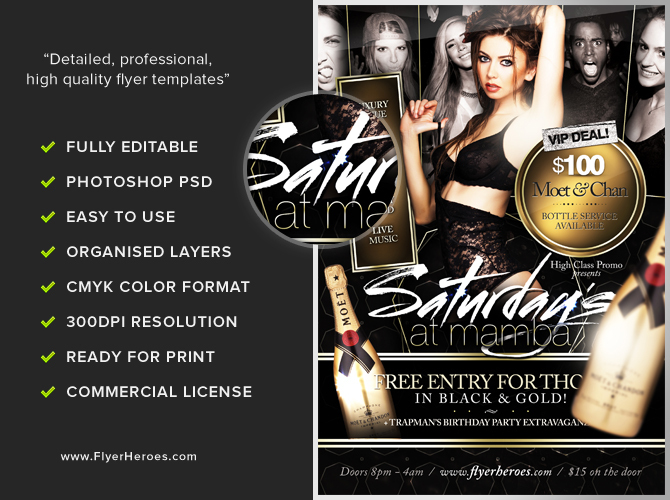 The Black & Gold Flyer Templates from FlyerHeroes are fully editable Photoshop PSDs. 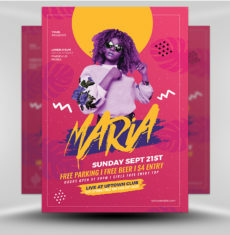 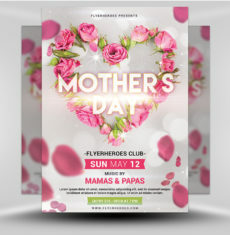 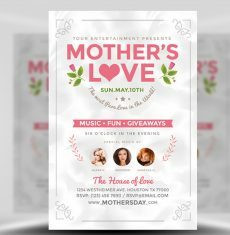 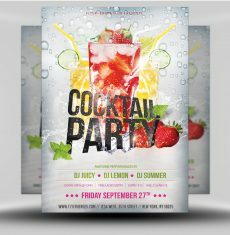 Once you have downloaded this template, using Adobe Photoshop CS4+ you can make use of this flyer design an unlimited number of times 100% royalty free.